The #Orion launch is scrubbed for today. Next launch opportunity in 24 hours. Even though the flight window was about two-and-a-half-hours long, NASA had to scrub the launch—after all the problems with the weather, there was an issue with the spacecraft. I guess it’s better that whatever went wrong did so while Orion was still on the ground. They’ll try again tomorrow morning at 7:05 am. 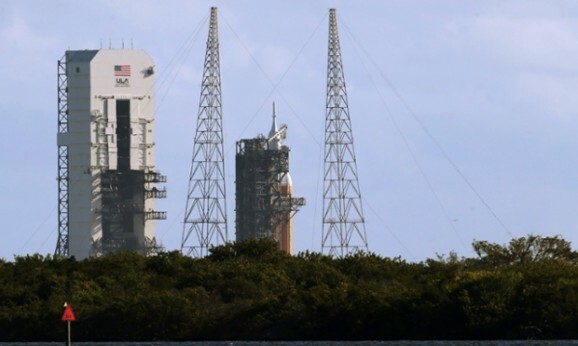 Reports indicate that there was a malfunction with the Delta IV Heavy rocket’s first stage, namely, a drain valve that didn’t close correctly. Operators attempted to remotely fix the problem, but weren’t able to do so before the flight window closed. The Delta IV Heavy is the biggest rocket the U.S. has—even bigger than the Saturn V. Built by the United Launch Alliance (a collaboration between Boeing and Lockheed Martin), so much rocket power is necessary to get the Orion capsule in orbit.